I worked years with an Apple II. It was coupled to an atomic absorption spectrophotometer and processed and printed out my measured data. The first computer I actively used was an Atari 1040ST, mainly to be able to run Steinberg Cubase. My first personal computer was a Commodore 64, followed ASAP by an Amiga 1000. 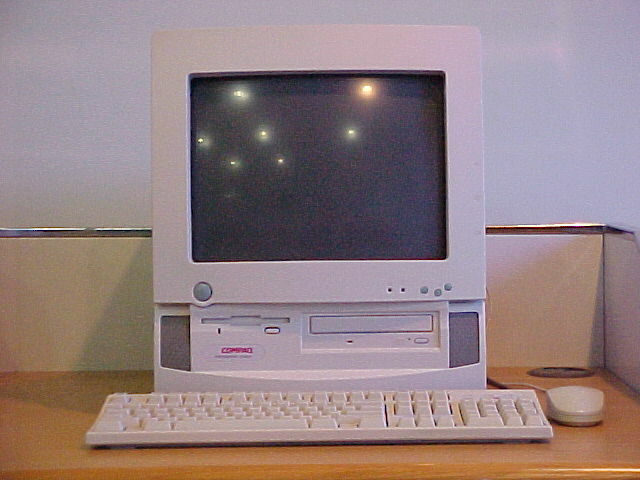 The first computer I ran a program on was an IBM 1620. My first computer was also a Commodore 64. I wish i had kept it. Also a Commodore 64. Kept using the monitor as a tv up until 2007-ish. Worked beautifully. It was a hand-me-down though. I'm not quite that old. Blimey, hark at Mr Moneybags. I could only afford a PCW 8256. I was into the Amiga originally, used to write for various Amiga magazines (there were loads of them on the newsstand back in the day) as well as ezines (anyone remember Just Amiga Monthly, or JAM for short?) and had a hand in a few games on the AmigaDos platform - mainly creating level maps and stuff. Crikey- you're right... there were loads of Amiga mags available in print back then, weren't there? I'd forgotten just how popular the Amiga platform was until you just brought it back up... very cool. It's all good blackmiau- hang on to that thought about being a little kid. Heh - paid with my PhD studentship - it wiped out a large chunk - about £400 if I remember. Worst deal ever. The daisywheel printer was a terrible. C/PM was nice though. Hey, like I said- hang on to that thought! (I'm a 51 year old kid at this point, and remebering that I'm a kid at heart has kept me alive through at least one or two incidences where I wouldn't be here otherwise). No Joke. When I saw my first Amiga in 1985, and really started grokking the potential. I noticed the ball from the boing demo in your avatar ;-) I'm still waiting for a port of CygnusEd to Windows so I can see if it is as great as I remember. Know any good (free) Amiga emulators? Computer Chips in Your Brain, how do you feel? The best gaming system to grow with a 5 yr old girl?